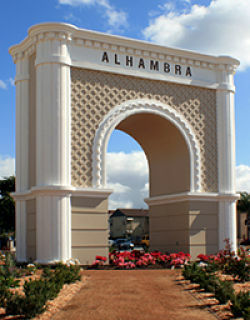 Alhambra is often referred to as the "Gateway to the San Gabriel Valley," and is about 8 miles west of downtown Los Angeles. The city has multicultural influences with a homogeneous population base. The city's current population of 85,804 consists of a wide range of ethnic groups, and many businesses, with connections around the globe.